I first visited Sweden in 2001 and I remember how I often found the range of foreign beers more impressive than the range of domestic beers. Eleven years later and things have definitely changed as the Swedish brewing scene is going from strength to strength. The number of breweries has also risen quite dramatically since I first visited Sweden. I have received news that a new brewery will be opening up in Sundbyberg in Stockholm. 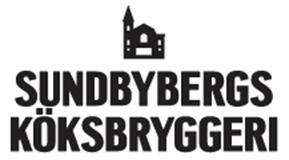 The brewery will be called Sundbybergs Köksbryggeri (kitchen brewery) and should be in operation by the end of this year. Sundbybergs Köksbryggeri (SKB) is the brainchild of Peter J Bergholtz, Per Stocke and Thomas Lindberg. These guys have been home brewers for a number of years and even won a medal at the 2011 Swedish home brewing championships for their imperial coffee stout ‘Lasse i gatan’. This beer is one of the beers that the guys hope to brew commercially. The brewery will be based in an old church in Sundyberg. The plan is to also make the brewery a place for brewery tours, meetings and brewing courses, as well as a pub to sell the beers in tiptop condition. The aim is to to brew a variety of styles, but most of them will be ales with more of an English influence than American. The beer range at the beginning should include a pale ale, a brown ale, a stout and a beer made with ginger. This all sounds like great news for the Stockholm beer scene and I am already looking forward to seeing these beers available commercially. Let’s hope the beers are as tasty as they sound!